I tried to sterilize activated sludge with an autoclave yesterday. 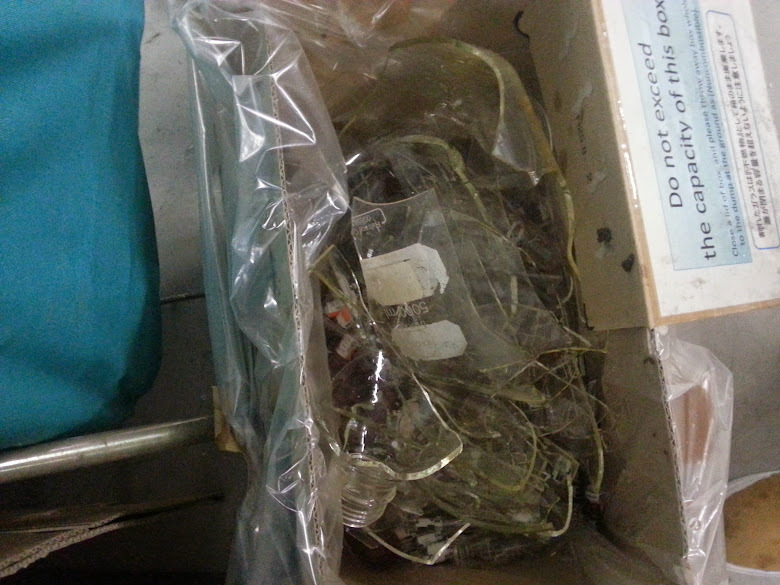 Glass bin, in which activated sludge was contained, was broken. Sludge was scattered inside the autoclave. I may have forgotten to loosen the cap. That's the cause of the accident. Many people helped me with cleaning. Thank you very much! However, if you still smell swege-like odor around the autoclave, let me know... . I'll clean again.